Priyanka Chopra’s Look-Alike Has Left Everyone Stunned And Crazy! Priyanka Chopra’s fans found her look alike named Milan and shared their reaction on twitter. Loyal fans can never miss catching their favourite star and looks like they have just got luckier. Guess what? 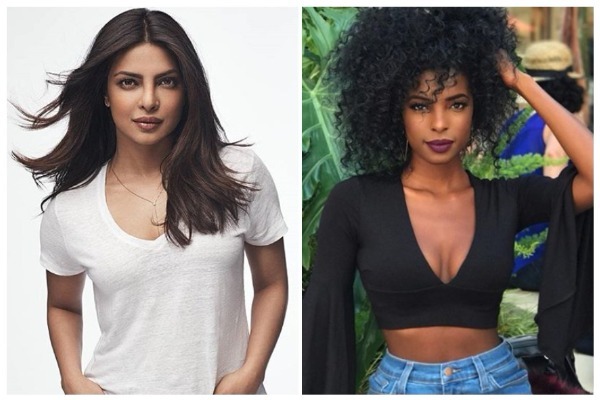 Bollywood turned Hollywood actress Priyanka Chopra fans have spotted her doppelganger on Twitter and they just can’t believe their eyes. Michigan’s Megan Milan looks quite similar to Priyanka Chopra in the picture that has gone viral on social media. The stunning black American model has big pouty lips and a similar jawline like PeeCee. Well, we are hoping the two come face-to-face as both Megan Milan and Priyanka Chopra are in New York currently.